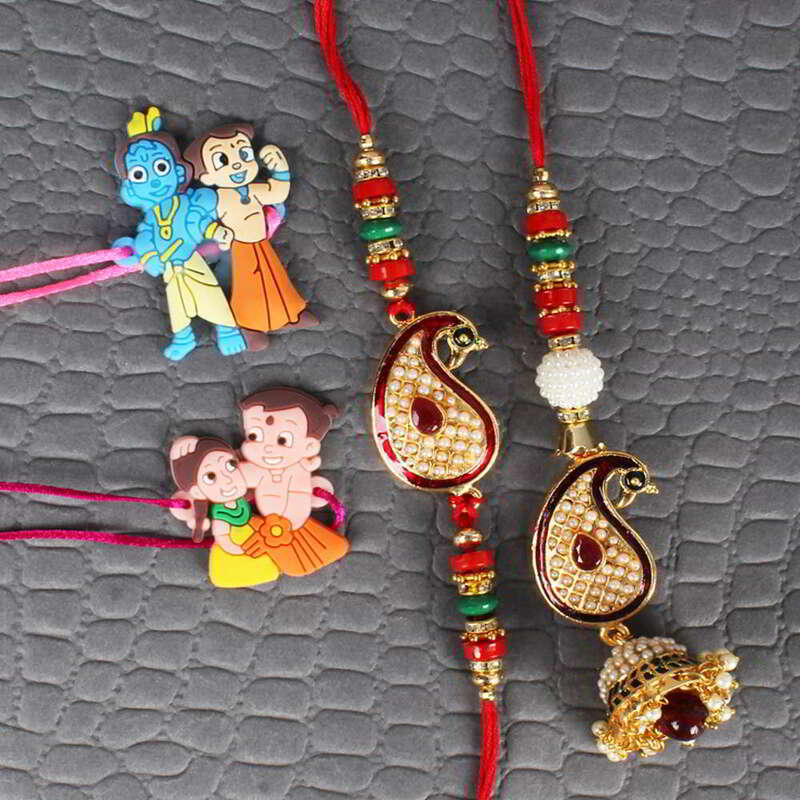 "Celebrate the auspicious occasion of Raksha Bandhan with your loved one and gift this amazing pack of Bhaiya Bhabhi and kids special Rakhi as a token of your love. The Kari design dial embedded with moti and Meenakari work looks amazing with the matching beads. 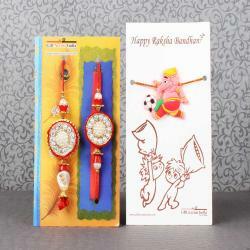 A special Lumba Rakhi matching with Bhaiya special Rakhi looks beautiful. 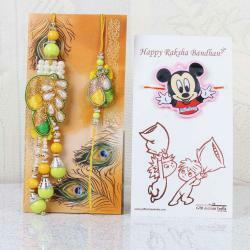 Gifting such combo along with kids’ special Bheem sister Rakhi and Krishna Chhota Bheem Rakhi tied on a Raksha Bandhan special decorative card looks perfect. 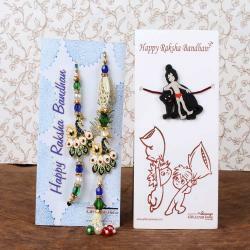 Gifting such combo will make your celebration awesome and will be loved by all. 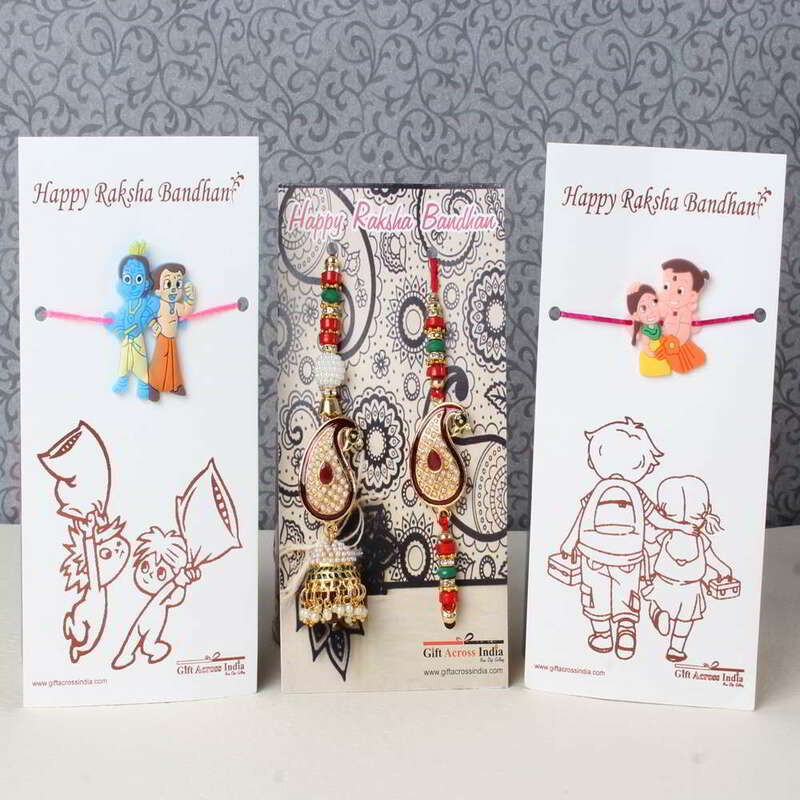 Product Consists: Kari Design Bhaiya Bhabhi Rakhi, Krishna Chhota Bheem Rakhi along with Bheem and Sister Rakhi for Kids nicely tied on a Designer Card. "